This business offers its new owners an excellent opportunity to invest money in themselves and have the business not only pay them a nice income for 5-6 months’ work, but also the capacity to service a loan and build long-term equity. 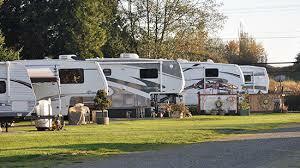 Opportunity to invest in well-established Alberta RV Park & Cabin Rental Business. This 87 site RV Park located within an hour’s drive from Edmonton would be a perfect business for a couple who is not yet ready to retire but only interested in working 5-6 months of the year, or for an energetic couple who wants to not only make a nice income, but is interested in adding new revenue streams to this business while working year round. The current owners over the last 17 years have developed a business model that provides an income and work/life balance that best suits them and would work well for a couple who would enjoy the same type of schedule. • Normalized net income of 253,000 for 2017-2018 with many business-related perks. If you enjoy the outdoors, building long-term relationships with clients, and offering a family atmosphere as your business model then this business should be on your must-see list.